From breakout-prone and aging skin to hyperpigmented and dry, dehydrated skin, exfoliation is important to the health of all skin conditions. 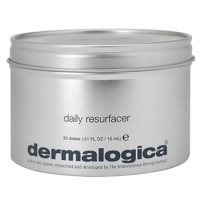 Dermalogica recommends pairing one day of intense exfoliation with seven days of gentle exfoliation to stimulate cell renewal rates, helping ro reduce the signs of premature aging, improve skin texture and brighten skin. With our selection of chemical and physical exfoliants that range from gentle to more intense, ther is a Dermalogica Exfoliant for every skin condition. A precise dose of leave-on exfoliating treatment ideal for use between professional treatments. Hydroxy acids and enzymes help smooth skin without and help reduce the signs of premature skin ageing. This unique Rice-based enzyme powder microfoliates dulling debris and helps achieve smoother and brighter skin. Contains no artificial fragrance or color. A skin-polishing scrub with natural Corn Cob Meal that is designed to help achieve a smooth, healthy complexion. Contains no artificial fragrance or color. 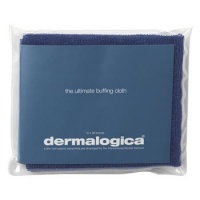 This ultra-gentle brush works with your prescribed Dermalogica Cleanser or Clean Bar and is designed to gently exfoliate dulling surface debris and impurities for effective cleansing. Contains no artificial fragrance or color.